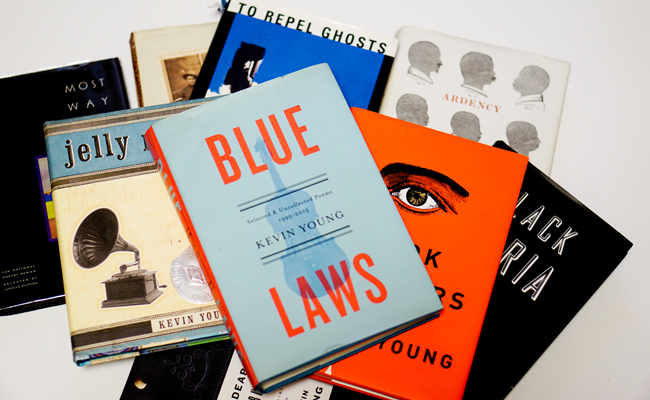 Kevin Young's focus on black history, music, humor, and grief in his works has made him an important subject for our interests in African American studies and artistic thought. Young is one of our most accomplished contemporary poets. He has produced a rather expansive body of work. • March 31: A Subtle Trayvon Martin Reference in Kevin Young's Poem? • November 17: Notes on Memorable Lines from Kevin Young's "Bereavement"
• July 5: Kevin Young's "Bereavement"